Is paid each completed purchase of one of our content packages. - No sites with pornographic, violent or racist content. - No sites with respect to illegal sites or content. - No banner farms, or websites with pure advertising content. 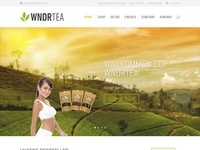 Werbetext: "ForenStart.de - Foren-Content zum Bestpreis!" Werbetext: "ForenStart.de - Wir bringen Ihr Forum auf Kurs!" Werbetext: "Forum leer? Bald nicht mehr!"